Not a week goes by where I’m not asked this once. If you’re an expat, you’ve probably got your elevator pitch response memorized at this point. If you dream of being one, have it canned before you attend your first InterNations happy hour. Even now, one year later, Brazilians and fellow expats alike still stare and wonder as I tell them my story. I tell them where I was born. What and where I studied. What I did in my past life. The cookie cutter special, as I sometimes call it. Then I tell them how I left it behind to pursue my dreams. To leave no stone unturned. To start asking myself “why not?” instead of “what if I had”. To live in the present, with no obligations to my past, and no fear of the future. I explain how I traded my car for a metro pass. Checked baggage for a carry-on backpack. My scientific calculator for a pencil and pad. An MBA for a hundred or so passport stamps. A cubicle for a classroom. IKEA knick-knacks for do-not-disturb signs. Then I tell them how I’ve become a passport ninja. A citizen of the world. How I’ve immersed myself in São Paulo. And how, despite being lost in translation at times, I’ve found comfort by embracing the unknown. They take another swig of their Original. More staring. More wondering. “The grass is always greener on the other side” usually comes in around this juncture, but that’s a lazy response. In all fairness, it’s a valid question that deserves a legitimate answer. The USA, for all it’s publicized woes, is still the greatest country to live in by many, if not most, measures. So what the hell AM I doing here in São Paulo? And why should you consider making the same journey? Better yet, for all my fellow expats, many of who were forcefully brought here by their employers and/or their husbands/wives, why should you stay? Here are the whats and the whys, for you and for me, as I’ve told countless students, Brazilians, friends and relatives over the last year, shown in no particular order. Buckets of cerveja are the norm in SP. 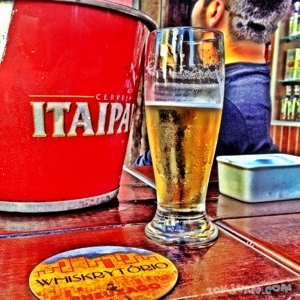 1) THE BEER CULTURE- No love list of São Paulo would be complete without talking about drinking. Granted, the beer culture applies to the whole of Brazil, but with the abundance of bars here, it’s impossible to ignore. Simplify splitting the bill- How many beers did I get? Who had the Stoli Red Bull? What the hell is a Washington Apple? These questions are now in your past because when the bill comes, it’s getting divi’d up however many ways, so it’s irrelevant. And no discounts for slow drinkers. Colder Beer- The cerveja will rarely last more than a few minutes as everyone’s glass gets topped off, so your beer stays drinkable, and you stay drinking it. Self-Full-Filling Glass- With so many people depending on the same supply of brew, there’s little chance your glass will stay empty for long, if at all. Efficient Ordering- As the night gets blurrier and better-looking, yelling out “mais uma/dois/treis” for another round is much easier than having to remember what you’ve been drinking. Advantage? Brazil. São Paulo Backpacker Tours’ Futebol Crawl in full effect. 2) FUTEBOL IS BIG HERE- Once again, something that can be experienced anywhere in Brazil, but São Paulo is as good a place as any to follow and watch it, whether it’s at a local bar with friends and nut jobs, or live at the stadium on a Futebol Crawl with fewer friends and tons more nut jobs. São Paulo’s teams are amongst the most successful, historic and rabidly-followed in all of Brazil, which makes it all the more difficult to choose a team in SP. But regardless of your alliance, futebol is embedded in the culture here, and Sampa is no exception. 3) CITY LIFE CAN BE FUN- To put it simply, things happen here. 24/7, and 365. Paulistas may take it for granted, but the array of cultural events, concerts, film, clubs, bars and restaurants rival any American or European city. The bonus? You’re in freakin’ BRAZIL! There’s a different energy here. People live a little bit more. They keep themselves busy. They work hard, and play harder. The ever-present fear of missing out, combined with the never-ending list of places to be and things to do, gives the city its accelerated pulse, not quite NY-esque, but brisk enough to keep you moving to the beat. The brand new Linha Amarela. 4) PUBLIC TRANSPORTATION IS YOUR FRIEND- Like Clint Eastwood’s character in “In The Line Of Fire”, I love public transportation. Sampa takes its lumps for not being on par with other metropolises, but the city’s fleet of buses, trains and taxis get you just about anywhere you need to be hands-free and sheltered from the brunt of the traffic, with a little added entertainment and zero chance of getting a DUI (way better than staying on top of the SP checkpoint Twitter account). Plus, unlike Rio, the taxi drivers won’t take you on the “scenic” route. 5) YOU CAN LEARN PORTUGUESE- Much has been written about Portuguese’s increased importance, but not so much has been said about learning it. So what IS the best way to learn Portuguese from scratch? It’s not Rosetta Stone. Not that 10-pound textbook accumulating dust on your bookcase. Not your Portuguese 101 class at the community college, and not watching ‘City of God’ a hundred times. It IS, however, going over the details of your new cell phone plan. And asking the waiter to describe the special of the day. But it’s also talking about last night’s game with your cabbie. Telling an anecdote at happy hour. Giving an out-of-town Brazilian directions to the museum, and it’s definitely articulating your feelings to a Paulistana at an afternoon samba in Madalena. That’s how you really learn. So why São Paulo? The Paulista accent isn’t as strong as the Carioca or Baiano accent, so you’ll pick up more (no pun intended). And when you do hit the inevitable wall? There’s a better chance the JaPaulista you’re hitting on will speak enough English to keep the momentum going. English or Spanish, I’m your guy, Paulistas. 6) YOU CAN FINALLY TEACH- As they say, if you want to learn, teach. Surprisingly enough, that also goes for teaching, especially in the business capital of South America, where Paulistas sacrifice breakfast, family time and Saturdays to improve their English and Spanish. As a native speaker of both, I get to learn something anew with my students, one-on-one, every day. But aside from the rewarding task of helping them get a new job, order a pint in London and pick up the occasional sorority girl in The States, and the daydream of being Hank Moody during his stint as a professor, it’s a profession with ample opportunity and decent pay if you have a firm grasp of your native tongue. 7) YOU CAN TRAVEL SOUTH AMERICA- Brazil is like a continent in and of itself, and South America is, well, an actual continent. What better place to use as a hub than SP? Chile, Peru, Argentina, Uruguay and the whole of Brazil are all within reach for a long weekend trip. When you get tired of those, the rest of South America, as well as Miami, Western Europe and even South Africa are all within 10 hours or so as well. Did I mention Rio is less than an hour away by plane? 8) YOU’LL LOVE PAULISTAS- São Paulo, despite its sheer size and magnitude, isn’t overrun with tourists, so it’s managed to stay friendly and welcoming to all, unlike other large cities who seem understandably fed up at times (I’m talking to you, Paris). People go out of their way to help out and communicate with foreigners, which is a rarity in cities this big. Plus, with an abundance of backgrounds and cultures meshed together (including the largest Japanese population outside of Japan) and an undying desire to stay busy, they’re a fun, eclectic bunch who’ll make you feel right at home in no time. 9) YOU CAN MEET SOMEONE LIKE NICOLLY- My muse. Without a doubt, the main reason I continue doing my passport ninja trick every 3-to-6 months, and the natural sweetener in my daily Brazilian brew. The way her eyes smile at me is the favorite part of my day, and her happiness is so effortless and pure, you can’t help but crack a smile of your own. Am I saying you’ll meet a girl that makes you feel the same way the minute you walk out of Guarulhos? Of course not, but as the Holstee Manifesto poster says, if you’re looking for a special someone, stop. They’ll be waiting for you when you start doing things you love. In my case, those things were 1) traveling/moving overseas and, 2) staying at a hostel. But whatever it is you love, there’s a good chance you can find it in São Paulo. So order a beer. Catch the game. Soak up the city life. Take the metro. Learn Portuguese. Teach your language. Travel South America. 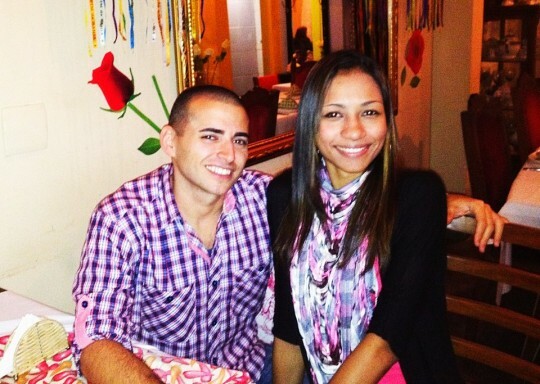 Meet some Paulistas, and maybe find your special someone. What’s not to love? 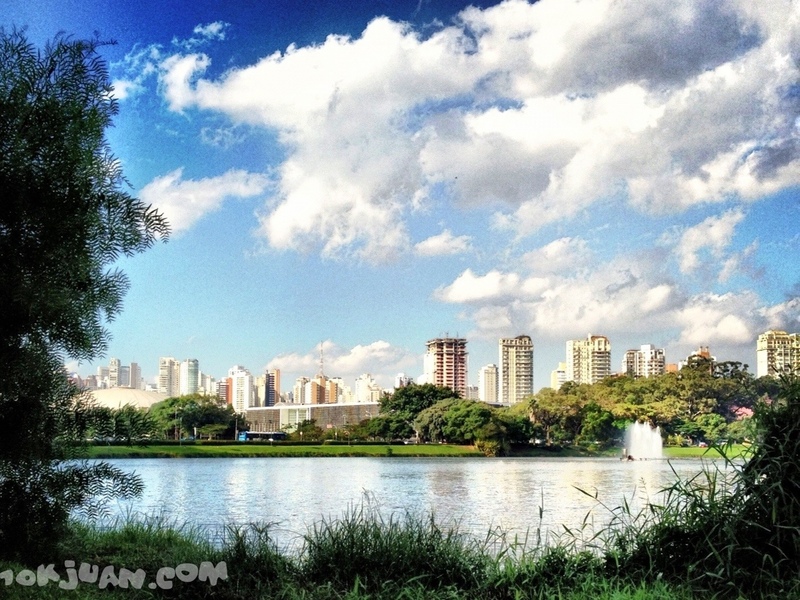 Have you ever been in São Paulo? What did you think? And for my fellow Paulistas, how do you feel about São Paulo? Subscribe to my weekly-ish newsletter! Looks like I need to get down there. where do i sign up? No signup required, just book a one-way with a dummy return flight (just in case they ask) and you’re good to go. 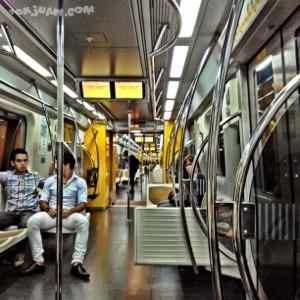 I keep reading articles about Sao Paulo. So many people say they thought they would hate it but end up loving everything it about it. I can see why you are so attached to the city. I need to make my way to South America soon! Andrew Creelman recently posted..Yep, I’m DEFINITELY Still a Foreigner in Brazil! Thanks Andrew! From what I’ve read we’re pretty much in the same boat. Do you feel the same way across the board? Or have you had different experiences? Hey, yea I think we’re definitely in the same boat! This blog pretty much sums up my experiences here too….although I have yet to see a football game (I’m not so big on football, but I really should get round to watching a game or two whilst I’m here! ), and being the owner of two blue eyes definitely makes me stand out more than I’d ever thought! I couldn’t agree more with the beer culture aspect of your blog, I will definitely miss that part when I eventually leave! Well we don’t have our next Futebol Crawl scheduled just yet, but I’ll let you know the next time we take a group of backpackers and locals to a game so you can join. Saúde! Noted. Changing it now. This explains my recent fall with the female demographic. Glad you enjoyed it, and thanks for reading! After spending over 6 months in the country, and enjoying both Brazilia (Brasilia) and Rio, I have to admit that they were wonderful times. However, after becoming aware of the traffic problems in Sao Paulo and the lack of water pressure for high-rise buildings, I’m sceptical when considering relocating or becoming an expat. Thanks for reading, David! Haven’t heard much about the high-rises as I live in a villa with a few roommates, but the traffic is undoubtedly atrocious. I’m lucky enough to not have to commute as I work within walking distance of the house. My roommates use motorbikes or bicycles to avoid it. I realize that can be a challenge for some, but I’m always surprised at how many people don’t even think to try any of those alternatives. That’s really sweet! I have lived my whole life here and it felt really good to read so many kind words about SP. Bla bla bla apart, yesterday we were talking about next trips, doing some savings and Sidney in New Years Eve (!) The best flight rate is on December 21 and I’m a Christmas with family and a New Years Eve in Brazil kind of girl so I was a bit reluctant… Well, after talking so much, the mainly thing I wanted to say is: after reading your “about” today morning I’m pretty much inclined to have a Christmas and New Years Eve in two in Australia. So, thanks for the inspiration. 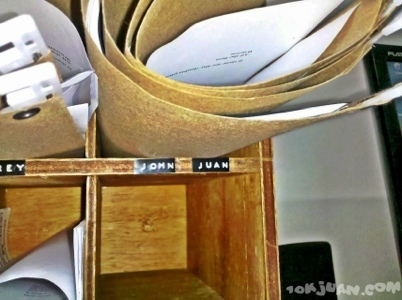 Great post Juan, it’s always great to see a perspective from a foreigner living in Sao Paulo to see things in a different perspective. As a born and raised paulistano and having lived in Barcelona and Rio I sometimes feel sorry about the lack of street life in my own city. But there are so many incredible things going on everywhere, that we really have to see the other sides of things. I’m always in contact with foreign visitors and the ones that have a little bit of time in their busy schedules to experience the city always say they had a good time and didn’t imagine that happening in the chaotic metropolis like São Paulo. I loved your attitude towards life and your writing, will come back again more often. Abraços! It is a question worth asking not onyl because Sao Paulo is not the nicest city in the world, but also because it’s so expensive. My husband and his family are all from there and we spend time there every year. The city definitely has lots of great qualities, that’s for sure. It isn’t easy on the eyes, but if you can get past that it has a lot to offer. Crime, traffic, poverty… every big city in the States has these tucked away somewhere. New York, Miami, Chicago, etc.. It all comes down to what you want to focus on. It is pretty expensive though if you have a family to look after, but for singles it’s great. Thanks for reading, Jenna! 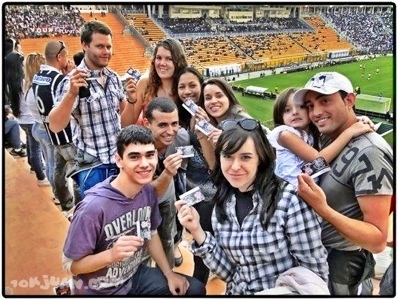 Previous post: CHOOSING A BRAZILIAN SOCCER TEAM, PT.III- VAI CORINTHIANS?